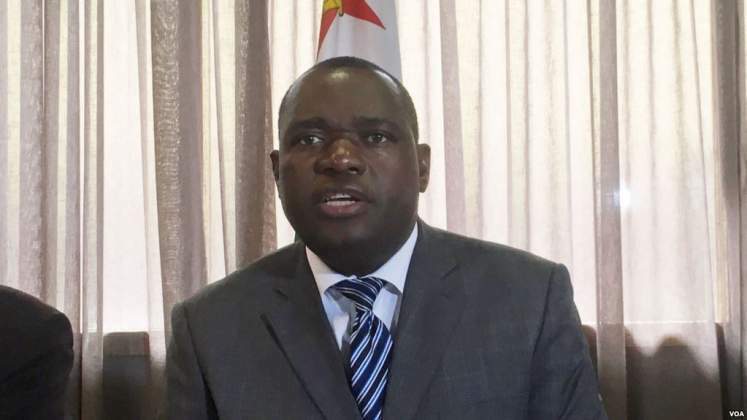 ZIMBABWE’S foreign policy is geared towards getting the best advantage so that it can be positioned as a key player on the global scene, working and cooperating with others for mutual benefit, Foreign Affairs and International Trade Minister Lieutenant General (Retired) Dr Sibusiso Moyo has said. Speaking at an Africa Invest Business Forum during a segment themed “Zimbabwe: A New Dawn or More of the Same?” Dr Moyo said Zimbabwe’s rapprochement strategy centred on deepening relations with its traditional friends while restoring ties with hitherto estranged nations. ‘‘The strategy of Zimbabwe to get out of its isolation is basically to reassure those friends and deepen economic relations with those nations which have always been amenable to Zimbabwe. Secondly, to particularly re-engage with those nations which had not seen Zimbabwe with a positive eye. ‘‘So we are saying we want Zimbabwe to be positioned in the global village as a player so that it can benefit and cooperate with everyone in the world and not necessarily one partner. We are saying we want to get the best advantage for the nation so that we can achieve the vision which the President has set for the nation,’’ Dr Moyo said in response to a question on Zimbabwe-China relations in the context of ongoing re-engagement with the Western world. Zimbabwe-China relations date back to the liberation struggle when the Asian giant provided logistical and technical support to the guerillas. When relations with the West soured in the wake of the bilateral dispute with Britain over the Land Reform Programme, Government adopted a Look East Policy that sought to realign Zimbabwe’s hitherto Western-aligned systems with the growing Asian giants. China and Russia were to play key roles in fending off efforts by a Western alliance led by Britain and the United States to have Zimbabwe on the UN Agenda as a pariah state. Dr Moyo told the forum that Zimbabwe-China relations were progressive and manifest in several key infrastructure projects. ‘‘China is a friend to Zimbabwe and it has been a friend to Zimbabwe. You are aware that most of the Chinese investment has been coming in the area of infrastructure development in Zimbabwe. Recently we commissioned a power station which was funded by the Chinese and which has introduced 300 megawatts, and we are talking about a subsequent power station which is also supposed to be done, known as Hwange 7 and 8. So we are talking about key infrastructure. “Even the airport I was talking about was built by the Chinese, Victoria Falls International Airport. So we are saying now the rest of the world, this is the time to come in and co-operate and partner Zimbabwe so that we can all become players, we can develop this awakening giant together,’’ he added. In a subsequent meeting with Ms Kate Hoey, Labour MP for Vauxhall who chairs the All-Party Parliamentary Group on Zimbabwe, Dr Moyo underscored the importance of Zimbabwe-China relations saying British investors were free to come in but those who stood aloof should not begrudge the Chinese for seizing opportunities as no one had been turned away from Zimbabwe. On assuming office in November last year, President Mnangagwa declared Zimbabwe open for business and rallied government to improve the ease of doing business, a development that has seen the country lock down over US$3 billion in investment commitments in less than five months.